Intel is an American multinational tech company. Best known for its PC microprocessors, Intel offers a variety of gadgets and tech solutions. With Big Apple Buddy’s personal shopping service, you can now buy the latest devices from the USA Intel online store anytime, anywhere. 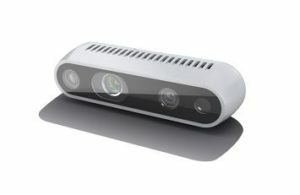 The Intel® Realsense™ Depth Camera D400 series allows developers to add depth perception capabilities to their prototypes by using a pair of depth sensors, RGB sensors, and an infrared projector. 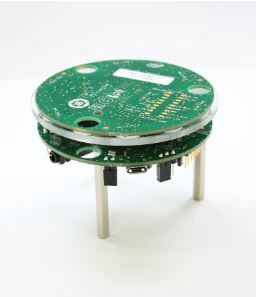 The Intel® RealSense™ Depth Camera D435 is best for objects in motion, while the Intel® RealSense™ Depth Camera D415 is best for small objects that require precise measurements. Both are USB-powered and use 28 nanometer (nm) process technology. Intel’s Speech Enabling Developer Kit gives developer’s the power of Amazon Alexa Voice Service. This kit can be used to create a host of smart home devices from wireless speakers to smart appliances. The kit includes technology for Alexa wake word recognition as well as an 8-mic circular array and dual DSP with inference engine. 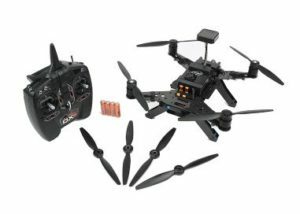 Dream of creating your own drone? Intel’s Aero Platform Developer Kit features a series of products to make your dream come true. The Aero Compute Board gives developers the power to create their own drone, and it’s all in packed into a kit the size of a standard playing card. Intel also offers the Aero Ready to Fly Drone for those looking to skip the building and get straight to the flying. Headquartered in the Silicon Valley in the US, Intel unfortunately does not offer international shipping for all its products to all international countries. Not to worry though! Big Apple Buddy, your personal shopper, can help you buy products from the USA Intel online store and ship them to your doorstep, no matter where you are in the world. We offer international shipping to over 110 countries including Australia, Austria, Azerbaijan, Bahrain, Belgium, British Virgin Islands, Brunei, Bulgaria, Canada, Chile, Costa Rica, Croatia, Czech Republic, Denmark, Estonia, Fiji, Finland, France, French Polynesia, Germany, Gibraltar, Greece, Greenland, Hong Kong, Hungary, Iceland, Indonesia, Ireland, Israel, Italy, Japan, Jordan, Kuwait, Latvia, Liechtenstein, Lithuania, Luxembourg, Macau, Malaysia, Maldives, Malta, Marshall Islands, Mauritius, Monaco, the Netherlands, Netherland Antilles, New Zealand, Norway, Oman, Poland, Qatar, Romania, San Marino, Saudi Arabia, Serbia and Montenegro, Seychelles, Singapore, Slovak Republic, Slovenia, Spain, South Africa, St. Lucia, Sweden, Switzerland, Taiwan, Thailand, the UAE, the UK, Vatican City, and Vietnam. If you would like to buy from the USA Intel online store, simply let us know which items you would like to order (by filling out the form below) and we’ll get back to you with a free international shipping quote within 24 hours!